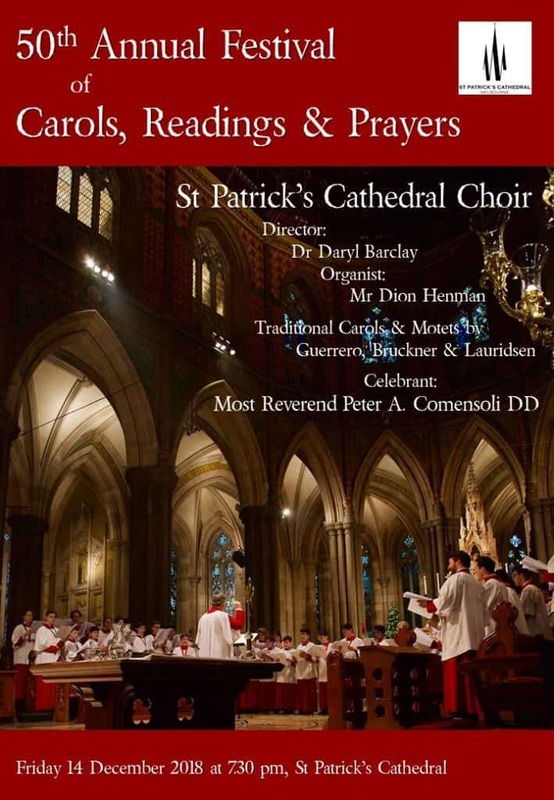 The renowned fifty-voice Choir of St Patrick’s Cathedral Melbourne presents its 50th Annual Service of Carols, Readings and Prayers in the spectacular setting of Australia’s largest cathedral. In addition to traditional Advent and Christmas carols, the Choir will perform motets by Guerrero, Bruckner and Lauridsen. Conductor – Dr Daryl Barclay, organist – Dion Henman. Admission free.